Available in a rough-plated finish, the Knoxford service sink faucet is tough and convenient, featuring inside-threaded couplings, a vacuum breaker and a pail hook for wash or mop buckets. From wall to spout, the reach is 4-7/8". The lever handles on this model meet ADA requirements, adding to its commercial utility. Alteo(R) widespread bathroom sink faucet with lever handles With sleek, confident curves inspired by nature, the Alteo faucet collection exudes a self-assured simplicity. Designed to deliver exceptional quality at an approachable price, the Alteo collection features fluid design lines that complement a wide range of decor. 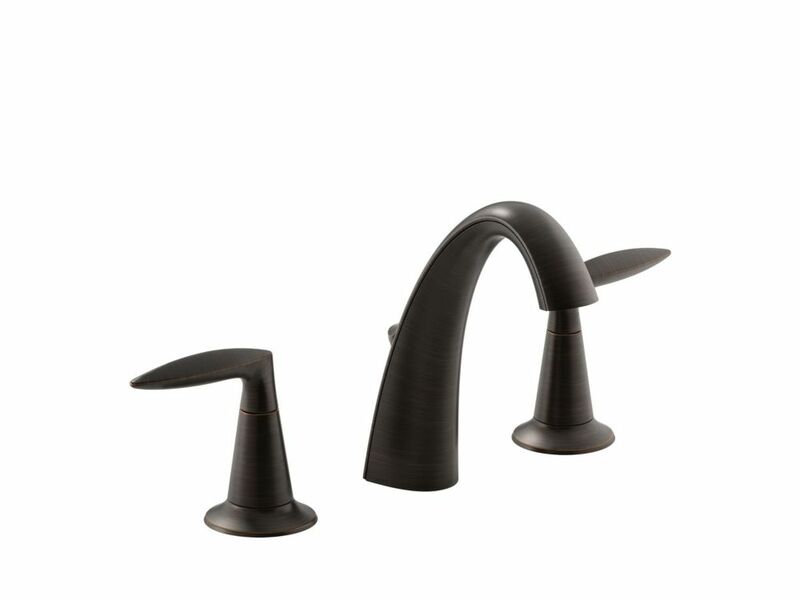 Alteo(R) widespread bathroom sink faucet with lever handles is rated 5.0 out of 5 by 2. Rated 5 out of 5 by Souri from Looks nicer than in what is shown on the site. Installation was very simple and easy. Looks nicer than in what is shown on the site. Installation was very simple and easy. Rated 5 out of 5 by Steve from Very stylish, Easy to install, Koehler quality. On top... Very stylish, Easy to install, Koehler quality. On top of that was Home Depot's great price, fSt free shipping easy returns if things hadn't worked out. what's not to like?